Eureka Springs is known by some as home to America’s Most Haunted Hotel but there is another type of ghost found all over the buildings of Eureka Springs. Ghost signs, or faded ads from the 19th and early 20th century can be spotted on buildings throughout town. Hand painted ads on the sides of buildings were a regular method of advertising products or services from about the 1890s up until the 1960s with most of these signs being created before the Great Depression. Because of their exposure to the weather, signs had to be repainted often and over the years, the advertising message changed. Time has passed and as varying layers of paint have eroded away, the signs have taken a ghostly appearance. The faded layers of paint reveal the last of these painted ads and those that came before it for an overall ethereal effect. These ghosts unmistakably communicate messages from Eureka’s past. How were they created? 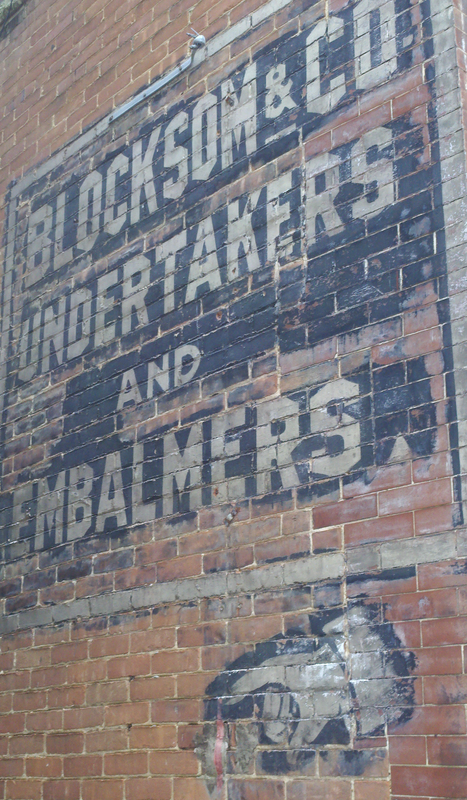 The old sign painters used white lead for white paint and lampblack for black paint. They’d make a paper pattern of the design and perforate the lines with a small device called a pattern wheel. Rolling the pattern wheel around the lines of a pattern would leave a series of holes. The painters would fasten the pattern to the wall and use a “pounce” bag filled with chalk or charcoal to create a “connect-the-dots” outline on the wall. The sign painters would mix paint with linseed oil and vanish or sometimes gasoline as a rapid drying agent and fill in the pattern. The white paint used faded at a slower rate which is why many ghost signs are primarily white. I have posted a couple of images of ghost signs that can be found in Eureka Springs. More Eureka Springs ghost sign images are on our Facebook. These can all be found on major streets. I have not posted the addresses as I thought you might enjoy hunting for them. If you find others (this is by no means a comprehensive collection) please share photos of them and if you simply can’t find one I posted here… comment and I can point you in the right direction. The Arkansas Historic Preservation Department catalogs ghost signs so if you discover one on your visit you think may have been missed… report it. If you are interested in reading more about ghost signs in Arkansas, check out “Ghost Signs of Arkansas” by Cynthia Lea Haas with photos by Jeff Holder. 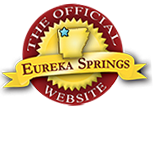 Discover more about the history of Eureka Springs. This entry was posted on August 1, 2011 by estcblog in Crescent Hotel, Fun Downtown, Ghosts, Things to Do and tagged downtown, ghosts, history, signs.